Is the cupola, on the inside of the ISS, cold or warm to the touch? Does the temperature of the surface of the cupola vary when the ISS is in Earth's shadow, compared to when it is on day side of the Earth? Is it cold to the touch when the ISS in the shadow? The windows of the Cupola are not made of a single pane. There are electrical window heaters and there is an environmental control system with manual temperature adjustment (2). 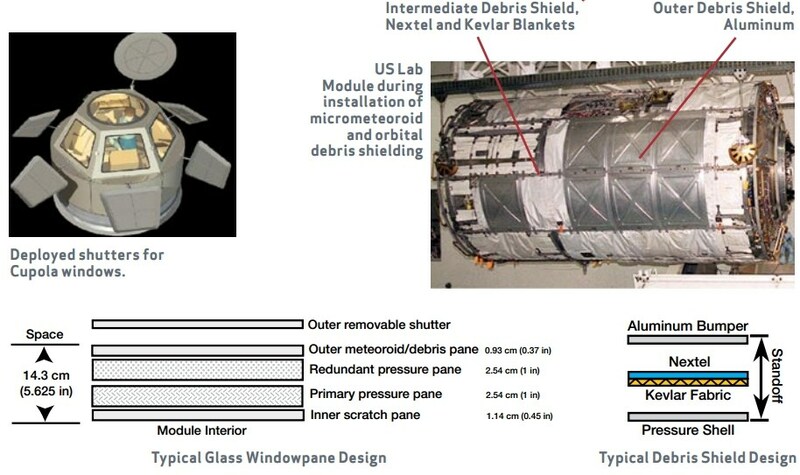 The window shutters for debris protection are made of several layers of aluminium and Kevlar/Nextel sheets. When not in use "the shutters are closed to protect the glass from micrometeoroids and orbital debris, and to prevent solar radiation from heating up Cupola or to avoid losing heat to space." (3). The metallic dome of the Cupola has Goldised Kapton Multi-Layer Insulation blankets. There is also a Thermal Control System with water supplied from Node High Temperature loop. So the inner surface of the Cupola is neither too hot nor too cold to touch. The temperature in the Cupola seems to be quite comfortable. In addition to the other answer: the ISS rotates to keep its nadir side (which the cupola is part of) pointed at Earth. This means the cupola is shielded from direct sunlight by the rest of the ISS for most of the daytime half of its orbit. Not the answer you're looking for? Browse other questions tagged iss temperature or ask your own question. How are EVA's in LEO affected by being at the night side of Earth? Approximate sizes and relative positions of the ISS' cupola windows? How many stations could one hear with an AM/FM radio in front of the ISS' cupola window? 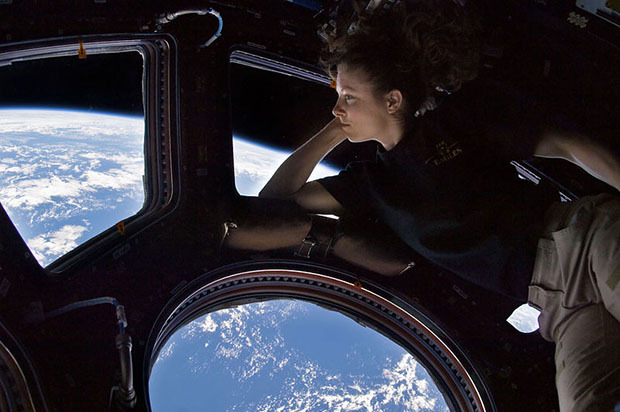 Why don't astronauts inside affect inertia of the ISS?